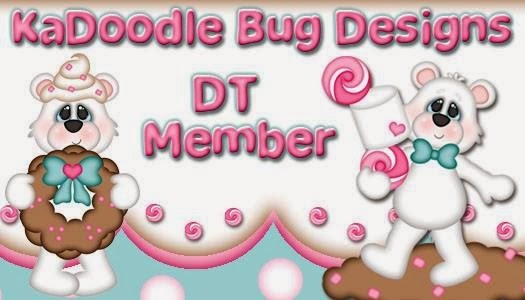 Today is my design team post for Craft It Up &Link It Up Linky Party hosted by Tara of Craftin Desert Divas! 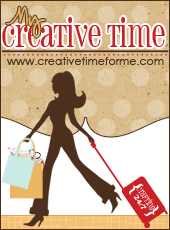 Every other Monday will mark the beginning of a new semi-weekly linky party and you could win fabulous prizes! !This linky party theme is Glitter!!!. The more you link up, the better chance you have to win. I covered a piece of scrap white card stock with score tape then was able to run it through my cameo. using the settings for double sided adhesive sheets, I increased the blade depth to 7 but left all the other setting alone. once cut out I was able to cover it with glitter! The wave background is from the kit that comes with the letterpress starter kit, and navy ink. I used a sentiment from Simon Says Stamp. This is a wonderful card , and design !!! The anchor is beautiful !!! Have a wonderful day !! This is so fabulous!! I love the sparkly anchor!! And ha, the sentiment is so fun!! Love it!! 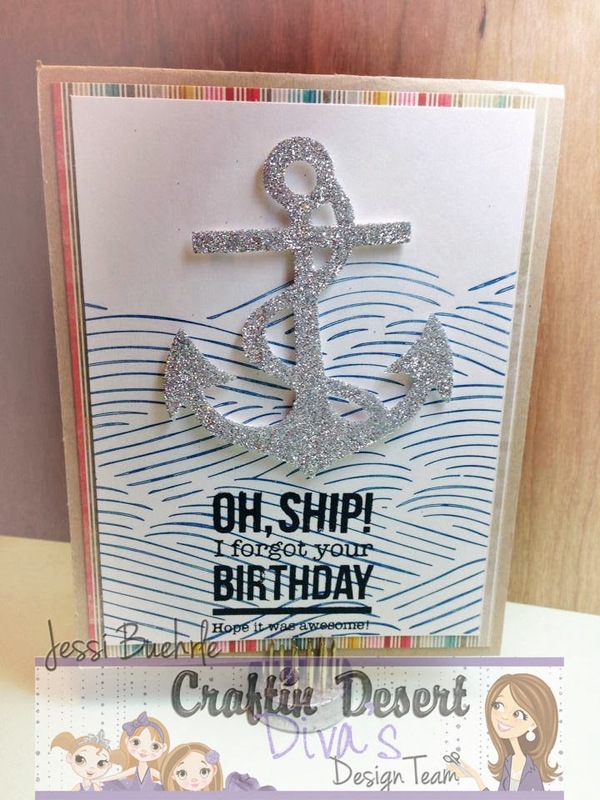 Love the sparkly anchor and the letterpress background looks so cool! Great card!